We’re fully licensed and insured, and more than ready to install or repair your siding. In fact, Hoffman Weber has been replacing siding for over 20 years with with locally staffed offices across the U.S. Throughout the process, we will work hard for your unconditional approval. 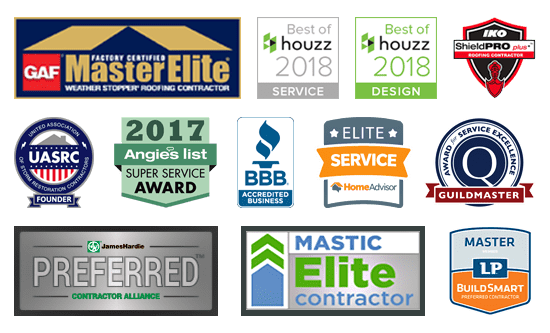 We've partnered with premium brands to provide you with the best siding products available and to ensure optimal installation. Choose from a variety of siding options and pre-finished looks to fit your style, all with low maintenance and renowned durability. We'll carefully lay out tarps and build temporary protective structures over fragile plants, flower beds, and other sensitive areas before our workers begin removing the old siding. We'll also protect your driveway from any potential damage from our dumpsters and trucks. After your project has been completed, your HWC Project Manager will carefully inspect the entire project from the starter to the top row, to ensure it meets our strict standards.